Dr. Franck Polleux is a Professor of Neuroscience and member of the Zuckerman Mind, Brain, Behavior Institute at Columbia University. He completed his undergraduate degree as well as his PhD in Neuroscience at the University of Claude Bernard in Lyon, France. Afterward, he travelled to Johns Hopkins University for his postdoctoral fellowship. Franck served on the faculty at the University of North Carolina, Chapel Hill and The Scripps Research Institute in La Jolla, CA before joining the faculty at Columbia University where he is today. Franck is here with us today to tell us all about his journey through life and science. Franck is an outdoor enthusiast who enjoys bicycling, playing tennis, and shooting hoops on the basketball court. Franck has two children (ages 8 and 11), and he spends most of his free time with his family riding bikes, going to the theater, and reading together. Franck’s research focuses on three different areas. One area of research interest is understanding the cellular and molecular mechanisms that underlie brain and neuronal development in the mammalian brain. Another research line in the lab studies how neural connectivity might be different in the human brain compared to other mammals. Franck’s lab has also begun to examine the signaling pathways affected in the early stages of neurodegenerative diseases such as Alzheimer’s disease. For Franck, science wasn’t an obvious career choice. He didn’t have a scientific background, and no one in his family was particularly interested in science. However, during his fourth year of college, Franck had the opportunity to work in a research laboratory, and he found the work fascinating. It was this experience that prompted him to pursue a PhD in neuroscience. There was a point during Franck’s PhD dissertation research that he wasn’t sure he was ever going to get through graduate school. He was working on an interesting project where he was labeling neurons in the brain to determine when they were formed. However, this project also involved many tedious hours at the microscope counting dots of radioactive tagging compound in neurons. Support from his mentors, friends, and family helped him through this tough time and kept him from giving up. Recently, Franck’s lab celebrated an exciting success. He and two postdoctoral fellows had been working to identify genes, proteins, and signaling pathways that regulate the growing and branching of axons. They discovered an unexpected connection between axon branching and a cellular process called mitochondrial capture. A champagne toast and the ceremonial signing of the bottle commemorated this magnificent victory. As a master’s student, Franck experienced one of his most memorable travel memories. His mentor had encouraged him to present his paper at a scientific meeting in Amsterdam. At this conference, Franck witnessed an impressive debate between two top scientists in his field. These two scientists later stopped by Franck’s poster to talk about his research, and he was both terrified and delighted by this opportunity. During the trip, Franck and a few students he met also enjoyed wonderful opportunities to explore the city together. Franck’s postdoctoral mentor started a game in the lab that was a lot of fun. Each member of the lab group would write down something humorous, quirky, or embarrassing about themselves or something they did in the past. They would combine all the entries, and go through and try to guess who wrote them. It was both hilarious and a great way to learn about your colleagues. Keep your enthusiasm and curiosity for science, and share these with your colleagues and students. Throughout his career, Franck has focused on the identification of the mechanisms underlying neuronal development, aging, and evolution. Specifically, his lab examines the cellular and molecular mechanisms involved in the patterns of connectivity of cortical circuits during development in the mammalian brain. 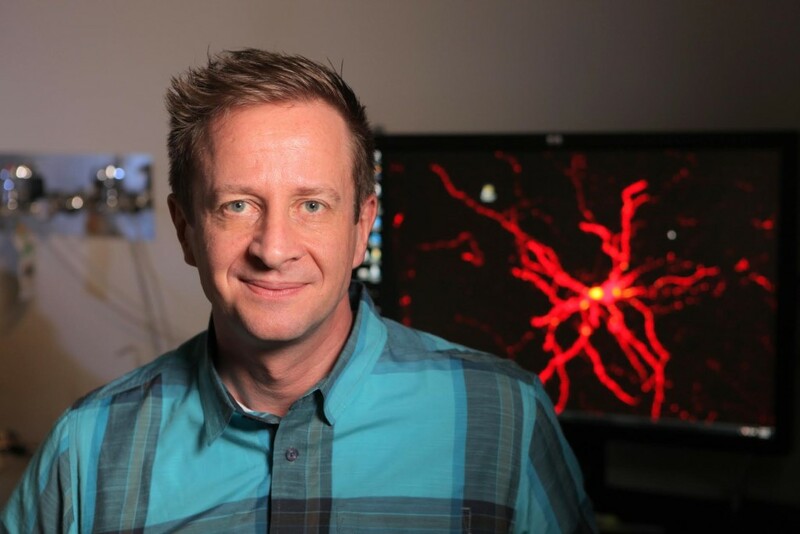 Franck’s lab has also begun to study the signaling pathways underlying synaptic loss during the early stages of Alzheimer’s Disease progression. The basis of human brain evolution is another more recent area of study in Franck’s lab. He and is colleagues are investigating genetic mechanisms that led to the evolution of human cortical circuits. The work of Franck’s lab in each of these areas provides new insights into the cellular and molecular mechanisms underlying the establishment and maintenance of brain connectivity. His research has significant implications for our understanding of the pathophysiological mechanisms underlying socially-devastating neurodevelopmental disorders and neurodegenerative diseases.